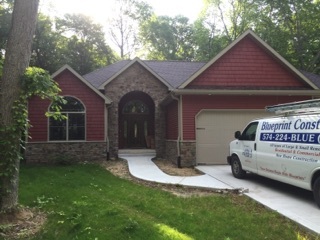 At Blueprint Construction LLC we understand that housing needs vary as much as the people of Fulton County and the surrounding areas of north central Indiana. That's why we offer housing choices that allow you to select from a variety of homes to fit both your family needs and your budget. We can do it all! Our talents range from designing and building exceptional custom homes and developing subdivisions, to renovations, remodeling projects and development of commercial properties. Whether a new home, home addition, renovation or just a simple repair or even a replacement project on the home, we have the experience, expertise, and resources to accomplish the task. “We literally do just about anything that is construction related,” Michael Hiatt (owner/member) of Blueprint Construction LLC states. Our new home builds are crafted to meet our customers’ needs or if they simply need a faucet or a closet door replaced we can handle that as well. That is a huge part of our company’s success, we often do several smaller jobs for customers from putting lawn furniture together to building a closet shelf! We have found that our customers will call us back when they are looking for that addition, renovation or even a new home build. 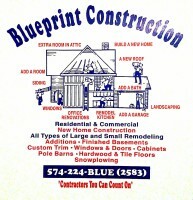 Blueprint Construction LLC provides unprecedented one-on- one contact with clients. Each one of us is a unique individual with our own special set of needs, wants and desires regarding our vision of the perfect home. That is why this personalized attention is so important. We take the time to get to know you, your wants and your needs so that even if you hand the creative aspects of the project to us, the end result will still be as if you had done this designing yourself. At no time, do we sacrifice quality for cost savings. Blueprint Construction LLC goes above and beyond the average in procuring the products and materials that must first meet our high standards. Every component, no matter how large or small, is the nest of its kind. That means your home will be full of names you recognize for their quality and durability. We invite you to call or stop by our office and tell us all about the home you have always wanted, but never thought possible. We are ready to assist you with every aspect of building your new home or improving the home you already have. 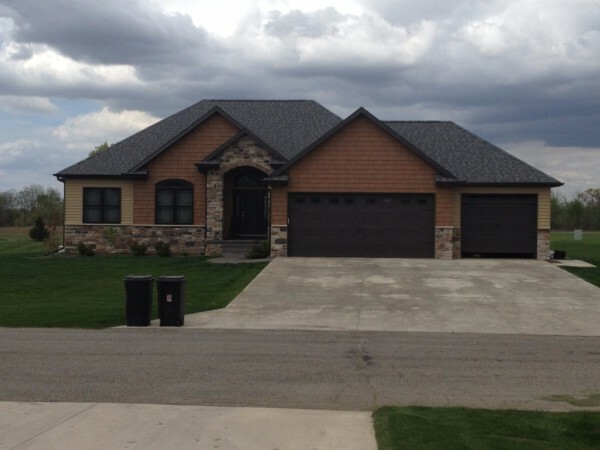 With your ideas and drams and our knowledge, resources and skills, Blueprint Construction LLC will prove to you we are more than just another homebuilder are we are uniquely dedicated to our customer's satisfaction.